Today’s recipe is something fun I’ve been able to work on with my dog, Lottie, which isn’t something I usually get to do. Lottie and formulating don’t really go together—she doesn’t need an under-eye gel, and what with her being so furry, lotions and body butters aren’t products she uses. She loves watching me get ready, though, and I could tell she has a particular fondness for lipstick given she often tries to lick mine off if I’m wearing any. So, I decided to make her some lipstick of her own—Lottie Lipstick! For starters I knew if would need to be dog-safe edible, so the base is mostly beef tallow. 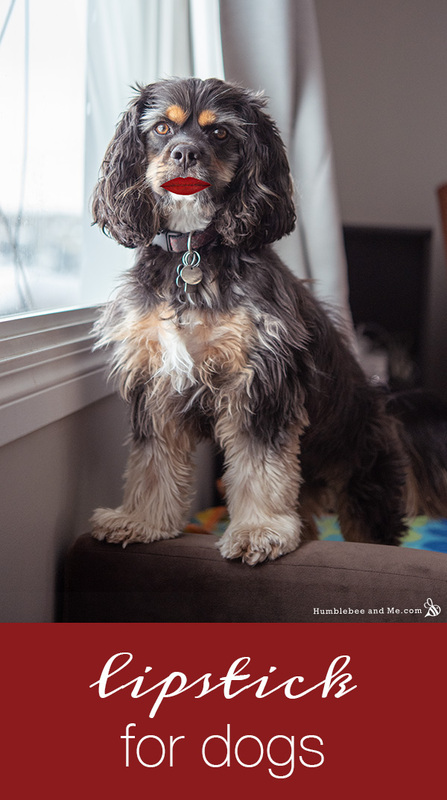 Lottie loves beef tallow—I just have to be careful to limit her lipstick wear to special occasions otherwise she’ll spoil her dinner. I thickened it up with a bit of beeswax, and added a touch of beef flavouring to make it extra-special. When it came to choosing the colour I knew it would have to be a classic red—all of Lottie’s favourite toys are red, after all! It also compliments her complexion very nicely, and matches her collar. 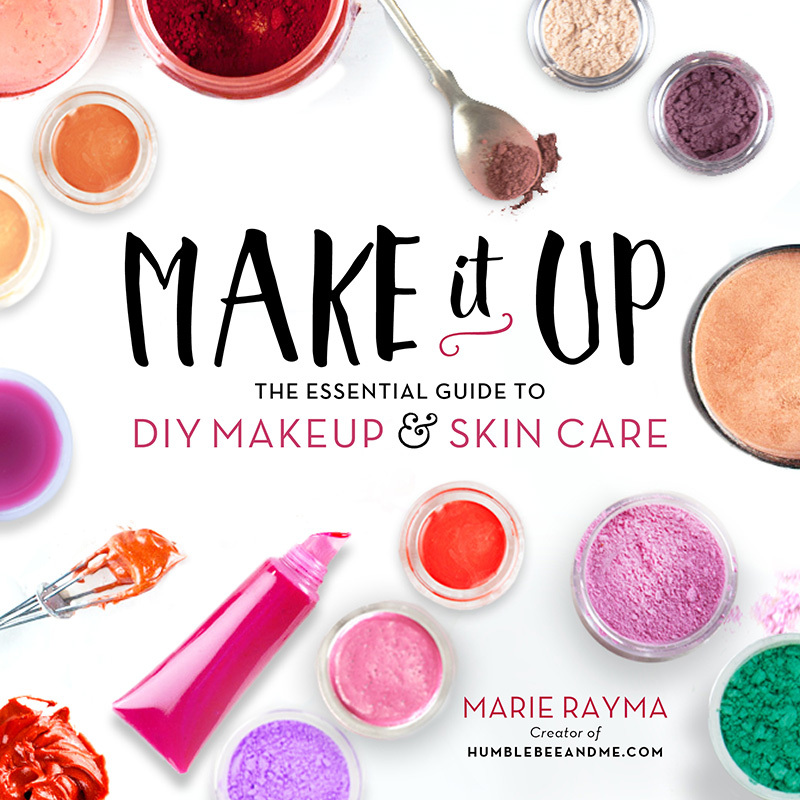 If you want to make some lipstick for yourself and/or any other humans in your life, check out my book, Make it Up: The Essential Guide to DIY Makeup and Skin Care! Marie I’m so sorry people are so mean I think you are a beautiful woman, smart, funny, very creative. People that say mean, rude things aren’t secure with themselves you keep on buzzing Humblebee &Me, Queen is watching your Awesomeness!!! Thank you for your kind words! I will keep working on letting the mean things slide off, and remember there are far more awesome people like you than trolls 🙂 Happy April Fools! Ha ha ha I love it!!! Ahhh no, that cake sounds… really expensive. What’s wrong with actual sprinkles, LOL?! WestJet, a Calgary-based Canadian airline always does great April Fools pranks as well—definitely check them out hahaha. Apparently the brand claims some of the lipsticks are totally food grade. I LOLd at Shop Miss A’s prank. BWAHAHAHAHHA oh my goodness 😀 These are brilliant! Sunshine ski resort just announced their new on-hill food delivery service LOL. The beef tallow is a nice addition. I think that in the future you might consider expanding your line to include our feline friends-a quick rendering of some of the more fatty fishes might be a great base. And of course, a classic salmon tint would be perfect! Lol!!! I was thinking, this has GOT to be an April fool’s!!!! You got me!!! Lol. I just had to read though. Curious on what and why……. GOOD ONE. Well, you had me going for a minute. I was really concerned about you! Why would she make Lottie lipstick? That’s so out of character for her. Maybe she’s overworked. I forgot about April fool’s day. Happy April Fools! I think the lipstick is pretty out of character for Lottie, too, to be fair 😛 Thanks for giving me the benefit of the doubt and having a laugh with me! I knew it! lol If the lips had not been so perfectly shaped, I MIGHT have believed it. Too cute! I completely forgot what day it was, you had me fooled until I saw the ‘recipe’! I’m sure she’ll be raking in the dudes at the dog park 😀 Happy April Fools! Hahaha the date line thing did occur to me, I’m glad it didn’t throw you for too much of a loop 😛 Happy April Fools! Sorry to disappoint! I have to say I didn’t think anyone would actually want a recipe for such a thing… perhaps I will have to consider it for the future LOL. Happy April Fools! Lol! Lottie’s got a Katherine Hepburn vibe going on. Very stately! Totally! She’s a classy broad 😉 Happy April Fools! I’m so glad you like it—I’ll have to look into dog jewellery as well 😉 Happy April Fools! Good one! I fell for it! I knew even before looking you foolin..but I did forget about April Fools. LOL good one. You inspire me, and have already tried several of your recipes and I love it! I love everything you do and each next new article gives me surprises and inspires me. I have a question, this is important to me. and checked all my store bought lipsticks and this upset me very much. They all showed a lead & harmful metals result except for one. I also checked one of your non-pigmented lip balm I made… no lead no harmful metals and I am happy !!!! Now I think to buy your book and make lipsticks and lip balms for myself . You know all about pigments and I trust your professional opinion. How do you think this is a trick? Maybe I panic in vain? I have done a lot of searching and pondering what kind of natural dye I should trust and love as well. I found carmine a great natural dye but red and orange are not my color they are not suitable for my skin type. I’m on a pink-purple hue tone.Many of the cosmetic grade pigments they mention can be used for lips but are not suitable for the eyes and it scares me. How about pigments Slice of the Moon, instructions for use sound reliably. How about a test on the foil, will they show a positive result or I panic again? Рlease , could you tell us which of the natural dyes and micas are most safe . Had you checked your pigments and lipsticks for lead & harmful metals? If yes, then it will be great … and a great theme for your new video!What do you think? Many of us trust you. Thank you for your time and hard work that you do for us. Hey! Give this a read 🙂 I think that should answer your questions! I’ve been a fan for a few years now. I enjoy your blogs, recipes and newsletters and look forward to getting the weekly e-mails, too. Thank-you for sharing your insight, testing and everything else! Most people would not divulge their “secrets” the way you have! Thank-you for all of your hard work! Your research, articles and creations are THE BEST! I don’t like the sounds of emulsifying wax—can I use beeswax (or a plant based wax) instead?